looking for a mid size suv, which will carry a family of 4 easily with about 3-4 luggages. It will also be used for daily commute for short distances when not going on family vacations. First of all, I don't think you're goign to find a V8 in a vehicle that meets your specs and within your budget. But the reaon most V8s have disappeared is becasue todays' V6 engines have more than enough power for 99% of buyers. The only reason to pick a V8 when a V6 i standard is if you need the incrased tow rating. But I have three recommendations for you and all have very strong, reliable V6 engines and they also range from Above Average to Excellent in most ratings. Since you said that you need setiung for six, I focused on three-row SUVs since you can only get five in a regular mid-siaied SUV (aand it's tight ). When I think of reliability and think about what SUV will still be on the road in 10 years with 150k miles on it....and still 14 years with 100k miles....just three letter come to mind- MDX! The Acura MDX could serve as the template for every other midsize SUV/CUV because it's so dang good. The current generation MDX was introduced as a 2014 model and it was based on a brand new platform and a piowertrain. I've never seen a pro review that did anything other tyhn praise it. 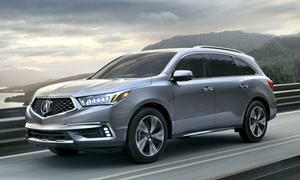 For under $30k, you could get a 2012-2013 CPO MDX for $24-$28k (under 30k miles) or a non-CPO used 2014 MDX for just unde $30k. My second suggestion is a vehicle that I owend fo r a few years annd just sold it to my parents less than a yeaer ago- the Mazda CX-9! Appearances can be deceiving because the CX-9 is bigger than the MDX or almost any mid-size SUV and it's actually considered a 'full-size Crossover' by some. Despite being 202 inches long, it's very easy to forget that you're not driving a sporty, powerful mid-size sedan when you get behind the wheel. I got mine in late 2012 and everything I found online indicated that it was very reliable. It is just over 3 years with 57k miles on it and solid as a tank. It also has one of the few usable 3rd row seats in the segment. You can get a brand new 2015 mid-level Touring verison for about $26,500 and the full-on GT with Tech Pkg for less than $31k (about $8k off sticker). 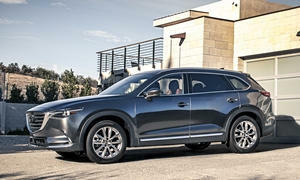 A new 2015 CX-9 is being introduced in a few montsh so they're pusing to move these out. 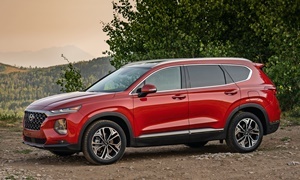 Finally, the Hyundai Santa Fe deserves a look. 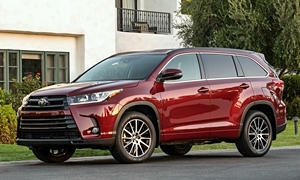 New ii 2013, ignore the 'Sport' model because it's just a 5-seaster and has small engines. The regular Santa has a standrad 290hp 3.3L V6 and has a LOT going for it. It comes in two trims- GLS and Limited. The Limited is one fo the very few SUVs to have 2nd row captain's cchairs. Check it out! The above are all good choices. 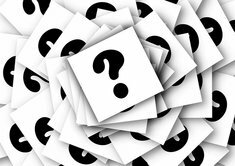 To them I'd add the most obvious answers, the Toyota Highlander or, if your don't want three rows, maybe the Toyota Venza. Hey Michael (mkaresh), I would have included the Highlander but I couldn't find any 2014 or newer models other than the base LE with a 4-cylinder for under $30k. I didn't care fo rthe previous Highlander, but I do like the current one. It just doesn't fit the poster''s budget. 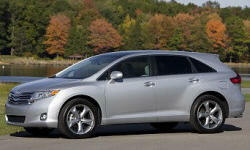 IF the Venza has sufficient passenger and cargo room for his needs, second thevote for it but only in V6 form. I remmeber renting one for the fist time in 2011 and it wasn XLE V6 FWD. It would haul @ss and then go back for more....very quick any comfortable and I still love the looks even though 2015 is the 7th and final model year. The nest ime I rentaed a car was a few weeks later for work again. I asked for a Venza and they had one ready to go. I pulled out of the parking lot and knew immediatley that the noise coming from under the hood didnt' sound like a V6 and the glacial progress I made dspite flooirng it confirmed that. Just to slow it down even further, it was AWD. At least I was in Texas and driving on flat roads most of the time. If I had encoutnered a hill larger than a speed bump, I'm convinced I would've had to get out and push! I was there working for about four days with that Venza 4-cylinder. I think I got around 17mpg becuase it was foot-to-the-floorall the time. I'm not sure where the cutoff should be for wwhen a car becomes unacceptably slow and could pose a danger. The Venza 4cyl (and I'm sure the Highlander w/ the 4cyl), Kia Sorento AWD 4cyl, Hyundai Tucson SE and Jeep Cherokee 2.4L 4WD are literally so slow to accelerate that I have been very nervous driving each of them at some point. The Jeep takes over 11 seconds to reach 60 and the performance ofthe 9-speed automatic are horrid. I've never seen a published test of the Kia Sorentto 4cyl AWD, but I had some time before going back to airport and I decided to testit myself. Using stopwatch was the best I could do, but it showed the very heavy, AWDSorento 4cyl as taking at least 12.5 seconds to 60mph. In either vehicle, flooring the gas will trigger a downshift, eventually....but all you get it more noise and no forward progress. SCARY!